Alright, boys and girls. Settle in, and let’s get this thing started. Today’s Ability is all about being tough! It’s all about being manly! It’s all about hairy chests, crummy beer, ice hockey, and katanas! Join me, fellow men! Let us sing a manthem worthy of such a mighty pokémon power! Bring me your Charizards, your Machamps, your huddled Donphan aching to Rollout in the most furious of manners. It… it… it’s useable by only the most adorable freakin’ monsters available in the game. It fills me with a feeling of pure demasculinization to announce that this is Ability of the Week: Friend Guard! This little guy was introduced in Pokémon Black and White Versions, and is only obtainable in the Dream World. Five pokémon have access to it, and despite my pure unadulterated denial above, those five are arguably the five cutest pokémon to have ever been conceived by Game Freak. Clefairy, Cleffa, Igglybuff, Jigglypuff, and Happiny all have access to Friend Guard, though, strangely enough, none of their fully evolved forms. You’ll only find a use for Friend Guard in Double and Triple Battles though, as it’s effect only benefits the partnered pokémon. When one these obnoxious little powderpuffs with their… pinchable little cheeksies oh my God they’re so cu-*AHEM*… enters a multi-battle, they reduce the damage done to their partner(s) by 25%. What this means for you is that selecting which pokémon you pair with the pink nightmares… with their sweet little faces an-*COUGH COUGH RED MEAT COUGH* …iiiiis just as important, if not moreso than which Friend Guard-user you decide to use. The slickest part of Friend Guard is that the 25% reduction is non-discretionary between Physical and Special damage. Your allies are going to get that benefit either way, which means that Friend Guard will benefit any pokémon, but in particular can be used to augment any wall pokémon. Want your Snorlax to have a bit more staying power? Partner it with Jigglypuff. Want Shuckle to be totally untouchable? Hellooo Happiny. Feel like your Acid Armor-using Vaporeon could be a little bit more annoying? Clefairy’s got your back. Inversely, if you’ve got a Sweeper that you feel like gets KO’d a little too easily when something does out-speed it, Friend Guard can help them stick around an extra turn or two. So, which Friend Guard user should you go with? Well, their stat totals are all so low that it’s really dealer’s choice. Who do you like? It doesn’t matter too terribly much considering that the Friend Guard user is really just there to buff and all the monsters are the same thing anyway… the same adorable little thing and they’re all special in their own way and I want to hug them all for forever can I have one please-*HARUMPH HARUMPH AMERICAN FOOTBALL BRUCE WILLIS POWER TOOLS HARUMPH* I am so sorry, I have something stuck in my throat today. And it’s translating into type. Because your face, that’s why. 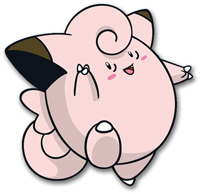 Anyway, out of all the Friend Guard-users, Clefairy has the highest stat total and has the most balanced split between HP, Defense, and Special Defense, so that’s who I’d recommend out of any of them, but as I said, it’s down to your discretion. As for move sets, you obviously want your little imp of a monster to stick around as long as possible to continue granting your primary fighter or wall the defensive bonus. Let’s throw on an Eviolite for a held item, as none of the Friend Guarders are fully evolved. They can also all learn Substitute, so assuming the monster you go with has a respectable HP stat (Jigglypuff and Happiny both have 100 or greater, Igglybuff sits at 90), that’s one route to travel. They can also all learn Protect, which you should be able to successfully use every other turn. From there, I’d put on one status-altering move like Attract, Toxic, or Thunder Wave to use at the outset of the battle, and one damage-dealing or HP recovery attack to use in between Protect turns. Probably the HP-recovery, actually. All the pokémon that can use Friend Guard are pretty brittle no matter what you do and we don’t want anything to happen to them, sweet little cherubs that they are and don’t you just want to frolic naked in a field somewhere with hundreds of cute little Jigglypuffs oh my God they’re just the cutest little things I’ve ever see-*COUGH BLECH CHOKE SWARTZENEGGAR BATMAN RIDING A PTERODACTYL THROUGH A BURNING BUILDING DRINKING A VODKA MOTOR OIL COCKTAIL WHILE KILLING HILTER WITH A RUSTY KNIFE COUGH COUGH COUGH* I am sorry! I just can’t get this darn lump out of my throat! Clearly, I have something cute stuck in my esophogus, gentlemen. I’m gonna go fix whatever it is by eating a ton of spicy food, jacking up my car for no reason, lifting heavy objects, and listening to this song on a loop for sixteen uninterrupted hours. Yeah. Yeah, that oughtta do it. This is a good plan. Clearly, I have something cute stuck in my throat, gentlemen. I’m gonna go fix whatever it is by eating a ton of spicy food, jacking up my car for no reason, lifting heavy objects, and listening to this song on a loop for sixteen uninterrupted hours. Yeah. Yeah, that oughtta do it. This is a good plan.